Oak & Broad is a custom wide plank wood flooring specialist. We work hand-in-hand with homeowners, designers, and builders to deliver an heirloom quality floor. Just as importantly, we deliver a consulting-style service that makes the process of creating the perfect floor smooth and enjoyable. In order to ensure that every consumer gets a floor they'll be thrilled with, we produce floors in a wide range of styles and finishes. Our most popular and floors are made from Black Walnut, American White Oak, Hickory, and European White Oak. These can be solid or engineered, pre-finished or site-finished, and can be produced with a variety of special finishes such as hand-scraped or wire-brushed, low gloss and matte. 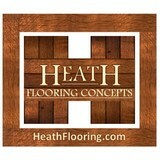 We can ship floors anywhere in the United States. If you have a project that you'd like to discuss with us, we'd be happy to provide a free consultation over the phone or email. Please get in touch with us today. K&M Floors, a family-owned company conveniently located in Douglasville, GA, will help you every step of the way in choosing different flooring options and the pros and cons of each. If you’re unsure of the type of flooring you want, our experts will listen to how your space is used and suggest the best option for you. K&M Floors takes pride in being at the forefront of the flooring industry working with large household names. It is a true family business: Jason is the craftsman, Melissa runs the office, and the kids provided the name. Because they always have one eye on the future with their kids in mind, environmental responsibility is a natural priority. 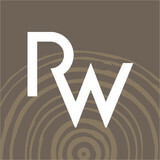 They focus on sustainability, offering eco-friendly hardwood and luxury vinyl tile. They also send all old carpet and padding back to the mill for recycling, minimizing landfill usage. In addition, Jason is a true craftsman. Gorgeous, unique outcomes are his trademark: Hand-scraped hardwoods, wide-plank gray-washed finishes, luxury vinyl, and rustic barn wood-look-alike tile are client favorites. No matter what type of flooring you are looking for, carpet, wood, ceramic, vinyl, or laminate, our trained staff is prepared to assist you with selecting the right flooring for your needs. At K&M Floors our goal is to bring you the newest our industry has to offer and to help you in the selection of the perfect floor for every room in your home or business. We live by our motto--Every Floor Should Make A Statement!!! *Authorized Armstrong Dealer* North Atlanta's top choice for new floor coverings and home improvement projects. For "Great Prices ~ Greater Quality" choose the Enhance Advantage. 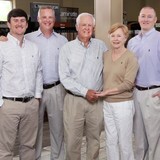 Enhance Floors & More was founded in 1985 by Don and Elisabeth Stubbs. Enhance enjoys a high amount of repeat and referral business because they maintain the highest standards of quality. Enhance Floors & More handles only first quality, warranted products from the very best manufacturers. Don and Elisabeth are always there to make sure you are glad you chose Enhance. Enhance Floors & More is A+ rated with the Better Business Bureau and has been a Home Reports Top Pick for 13 consecutive years. *Authorized Bona Certified Craftsman* From the charming and traditional to the edgy and contemporary, MODA Floors & Interiors can transform any flooring or window coverings trend to fit your style. Visit our showroom in Atlanta's West Midtown Design District. For more exceptional client testimonials visit our website! Final Floors offers a range of flooring with the elegant touch. Our team of professional and experienced consultants and contractors will put your mind at ease. Our quality floors come with convenience of service, a personalized focus and special attention from one of our floor generals. With over 30 years of experience servicing the Atlanta area, Final Floors has provided high quality flooring installation for residential and commercial properties. We carry the finest luxury vinyl planks, hardwood, tile, laminates, vinyl, carpet and natural stone in the area and install with state of the art equipment. Whether you need your floors refinished, repaired or replaced, we've got you covered. Not only do we provide quality work for an affordable price, we conduct business in a way that makes you feel like family. If your looking for the newest and best carpet, tile, stone, vinyl, bamboo, laminate, or hardwood floors, our phenomenal staff is ready to help you every step of the way. Let Benjamin guide you through your project from design, to consultation on products and budget, through to installation. Now you can enjoy the personal attention that Benjamin gives each and every client to make your home the very best. Founded in 1984, Authentic Reclaimed is a hardwood flooring manufacturer specializing in Reclaimed & New Harvest hardwoods as well as pine. We are a family owned and operated company that offers a diverse range of architectural products with a limitless range of color oil finishes and textures, designed to perform in both residential and commercial environments. We specialize in wide plank floors with impressively long lengths, what sets us apart is our commitment to hand picking only the best materials and finishes. Much like the Farm to Table approach taken by great chefs, we fulfill all aspects of the manufacturing process. We work closely with our suppliers to acquire only the highest quality material available. We then handle the milling, grading and custom pre-finishing in our own mill in Locust Grove, GA. Our reclaimed material is harvested from iconic buildings, historical structures, textile mills and distilleries such as The Old Crow Bourbon distillery, Coca-Cola, John Deere and the American Tobacco factory. Materials that may have out lived their original purpose, but are ready for a new life and a chance for their story to be told for years to come. We believe reclaimed material offers one of a kind, breath taking character that can only be created by time. History lives on in flooring created from old timbers reclaimed from these turn-of-the-century buildings, we like to think that we give the wood what we believe everyone deserves, a second chance at life. 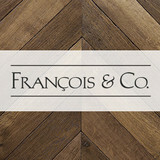 From hardwood floors, to hand-crafted reclaimed French oak parquet tiles, and in everything we do, our mission is to help our designers, architects and clients achieve their unique vision. All our work is rooted in the belief that the use of reclaimed materials steeped in history add richness and depth to modern design. Daniels Floors provides the best solutions to any and all hardwood flooring issues. 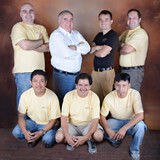 Our professionally trained crew leaders each have over 15 years experience in hardwood flooring. We test products and procedures to keep current on the best solutions for hardwood flooring. We have the most technologically advanced Bona equipment for dustless sanding and finishing. We offer traditional oil modified polyurethane, non-toxic, water based finishes and oil rubbed finished. We are experts in all things related to hardwood flooring. FREE design and consultation with every job! We are committed to installing and finishing the most beautiful, durable hardwood flooring for our clients. We will not compromise quality or cut corners on any of our projects. We tailor each project to suit the taste and fit the budget of every client. Make an appointment with us today!! Eutree is an urban lumber mill that's setting a new standard for sustainability. Our timber isn't logged out of forests. Instead, we help urban tree services divert beautiful hardwood specimens from becoming waste. That's why we call our products "Forest Free". Whether it's flooring, paneling, live edge slabs or hardwood lumber, each product we create tells a unique story about the lifecycle of the material itself. From sourcing a variety of wood species to specialty finishes, our skilled craftsmen will help you create custom designs for residential and commercial use. We know that updating your flooring can be a daunting task, which is why we have an easy three step process to provide the simplest and most satisfying floor buying experience possible. Whether you are looking for new carpet, tile, stone, vinyl, laminate or hardwood floors, our expert staff is ready to help you every step of the way. Get started with a free in-home consultation today and make your house feel like home. Beautiful Hardwood, Bamboo, Cork, and Laminate Flooring. We Offer The Best Shopping Experience By Offering Better Pricing Than You'll Find In A Box Store With The Service Of A Locally Owned Shop. Amazing Prices, Great Selection, Free In Home Consultations. Simplefloors Taste The Difference! What kinds of services do hardwood flooring installation professionals in Druid Hills, GA provide? Find hardwood floor experts in Druid Hills, GA on Houzz. Search the Professionals section for Druid Hills, GA hardwood flooring installers and dealers or browse Druid Hills, GA photos of completed installations and look for the professional’s contact information.